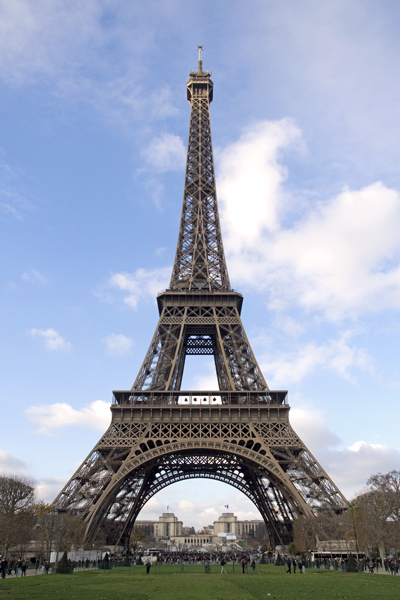 If you’re planning a visit to Paris this spring, your timing couldn’t be better. In 2014, a number of gluten-free boulangeries (bakeries specializing in bread) and cafés opened throughout the city, completely changing the landscape of lunch in Paris. A year or more ago, your lunch options in Paris were limited to a quick salad or a more time-intensive and expensive sit-down meal. Now? 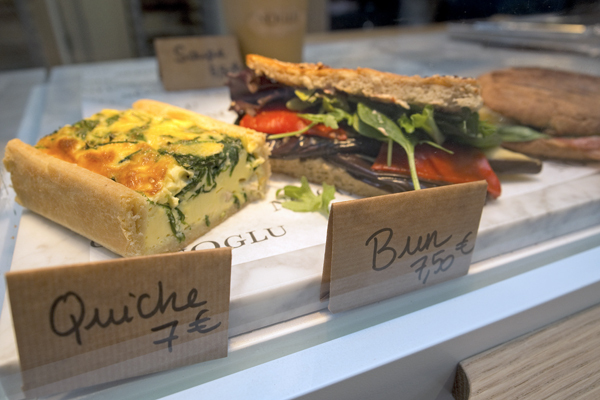 You’ll find gluten-free sandwiches and healthy lunches in nearly every arrondissement. Here are five of our favorite spots to get a gluten-free lunch in Paris. Boulangerie Chambelland is one of our favorite spots in Paris, period, but for now we’ll focus on the lunchtime options. Chambelland’s specialty is the bakery’s innovative bread, made with rice flour milled exclusively at the bakery’s own mill in the south of France. At lunch, you’ll find these huge loaves of bread sliced and filled with smoked fish, veggies, and meats to make artisanal sandwiches. If these look a little too intimidating, Chambelland also offers daintier sandwiches made with the smaller Chambelline loaves. For something sweet to finish your lunch, don’t leave without trying the orange flower pain de sucre, a sweet, surprising, and addictive dessert. NOGLU originally opened as an upscale gluten-free restaurant in 2012 and proved so popular that NOGLU Takeaway opened across the way in spring 2014. You’ll find sandwiches made with homemade bread here, but you’ll also find plenty of other choices for a variety of appetites. Hearty quiches, soups, and salads fill the case, and the helpful English-speaking staff can easily answer questions about ingredients and allergens. There isn’t much overlap in the menus at NOGLU’s sit-down and takeaway storefronts (which means you’ll have to visit both), but you will find beautiful, delicious pastries at both—and your meal won’t be complete without one. 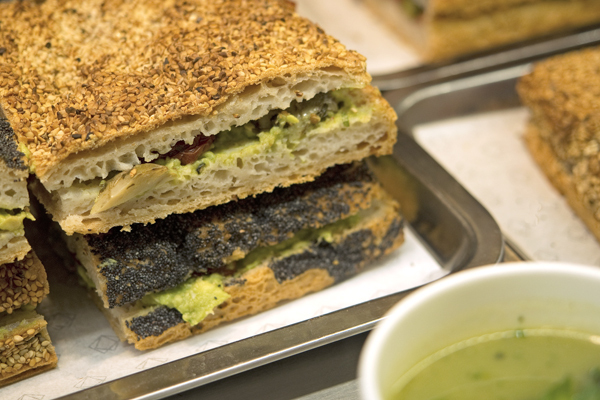 Maison Eric Kayser bakes fantastic gluten-free bread, and at lunchtime, you won’t want to miss the boulangerie’s range of gluten-free sandwiches. 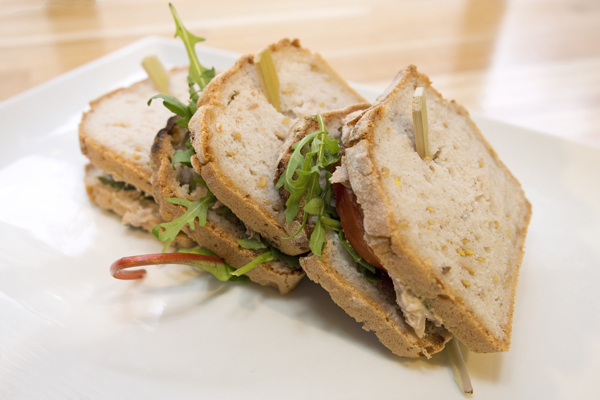 Pick up a tuna, smoked salmon, or chicken salad sandwich on perfectly fluffy rice- and buckwheat bread. For a lighter meal, try one of Eric Kayser’s many clearly labeled gluten-free salads, including green detox and Parisian mix. Save room for dessert, and indulge in one of the rich chocolate indecent cookies. 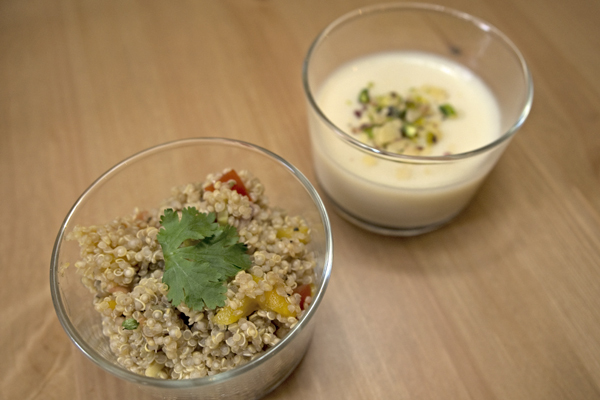 Embracing the motto “healthy food for gourmands,” MyFreeKitchen offers a rotating selection of tasty lunch combinations that include salads, quiches, and soups. Most menu items have a flavorful Lebanese twist, thanks to the culinary inclinations of the brother and sister duo who own the café. Relax in this cozy spot and linger over a cascara or any of the intriguing coffee drinks. The luscious crême de lait a la fleur d’oranger, a light soy milk pudding with a touch of pistachio and orange flower, is the ideal way to finish your meal. Certainly the most adorably named spot on our list, Bears & Raccoons is a welcome addition to the deli scene in Paris. Opened in October 2014, this 100% gluten-free spot specializes in sandwiches and makes them fresh to order. 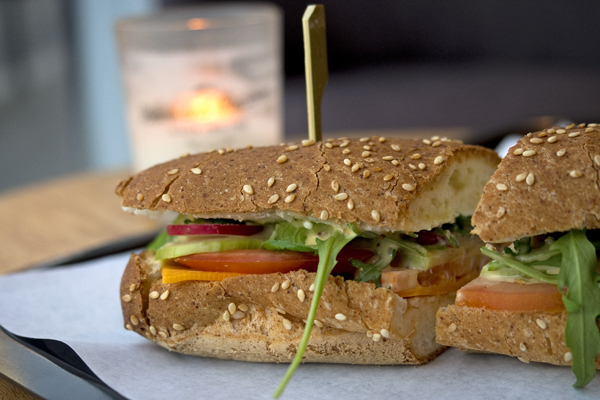 They’re served on gluten-free sesame rolls and packed with veggies, cheeses, and your choice of fillings. Bears & Raccoons will also satiate your sweet tooth with muffins and cakes, and they serve a beautiful almond milk or soy milk latte. Stock up on gluten-free goods to go at the shop’s small but carefully selected marketplace. Where? You’ll find these lunch spots throughout Paris. Visit Boulangerie Chambelland at 14 rue Ternaux, 75011 Paris (+33 1 43 55 07 30). Visit NOGLU Takeaway at 16 Passage des Panoramas, 75002 Paris (+33 1 40 26 41 24). Visit Maison Eric Kayser at 4 rue de l’Échelle, 75001 Paris (+33 1 40 15 01 31). Visit MyFreeKitchen at 1 bis rue Bleue, 75009 Paris (+33 1 48 01 67 64). Visit Bears and Raccoons at 21 rue Richard Lenoir, 75011 Paris (+33 9 51 67 87 71).